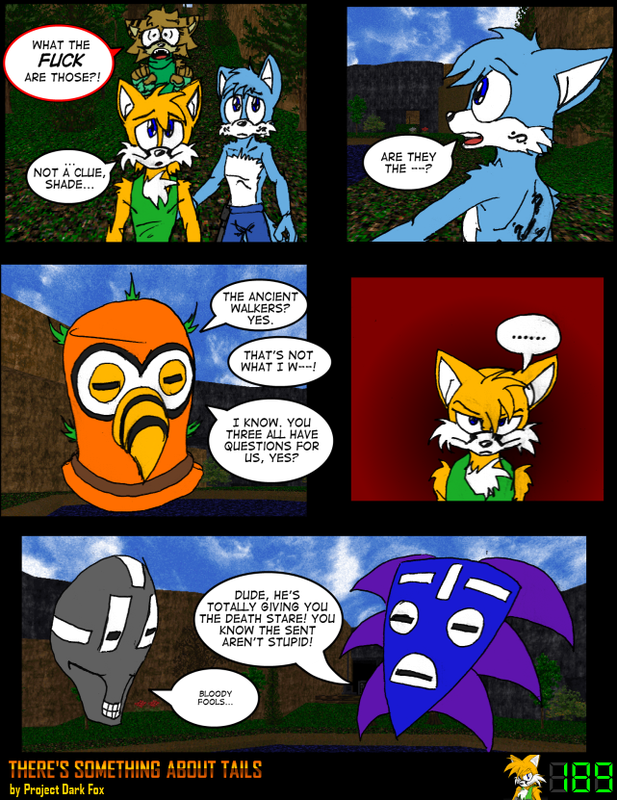 This drawn format became the regular format all the way to the abrupt end of the comic's run, and because of the shift I was given at work, was actually able to not just be able to do a page a week, but even pull off the rare, rare ability to buffer up. I drew all of the characters by hand and physically with ink before scanning the pictures in, in each panel, but I was still "shackled" to using Doom's backgrounds. However, during this time, the map got an overhaul as I began borrowing from the FreeDoom resource. The rock textures actually looked better than the stock Doom resources in this case, and it made Ring Lake really pop. On top of that, I actually snapped my screenshots in the highest screen resolution I could, and after drawing all my actors. Where as before, I stuck sprites on already taken backgrounds. This wasn't the greatest mesh of talents but it was fast, and that was what I wanted.